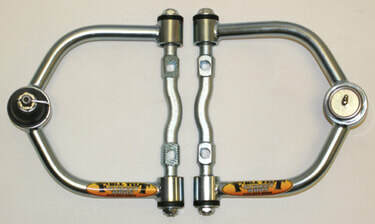 Full Tilt's Tubular Control Arms work with all popular Mustang II IFS Suspension Systems!! 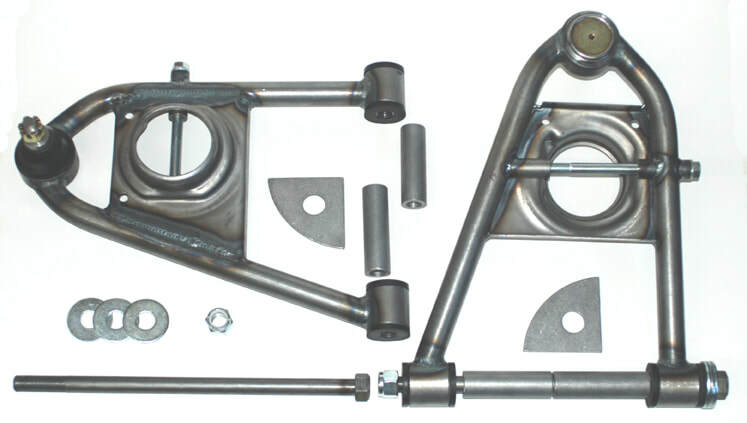 Top-quality mandrel-bent control arms come completely assembled with new ball joints, cross shafts and bushings. 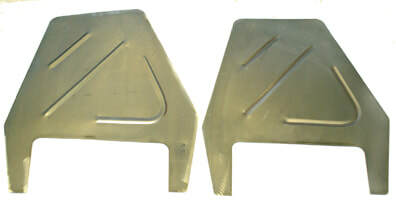 And we can supply new T-bolts if needed. Also available in 5/8" narrowed - Same prices as above! CALL for chrome or black powder coat. You can get our cross-shafts and tubular upper control arms as a matching set as shown here, or you can buy the cross-shafts separately. 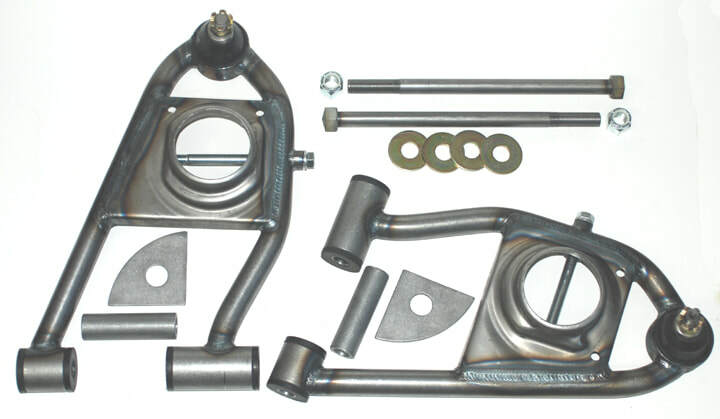 Check Full Tilt's complete HUB-to-HUB MUSTANG II IFS FRONT SUSPENSION kits that include upper control arms HERE. Already got your upper arms? No sweat. 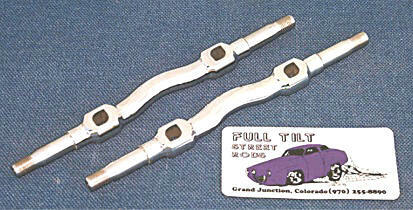 Our cross-shafts fit ALL Mustang II-style upper arms, no matter who made 'em. 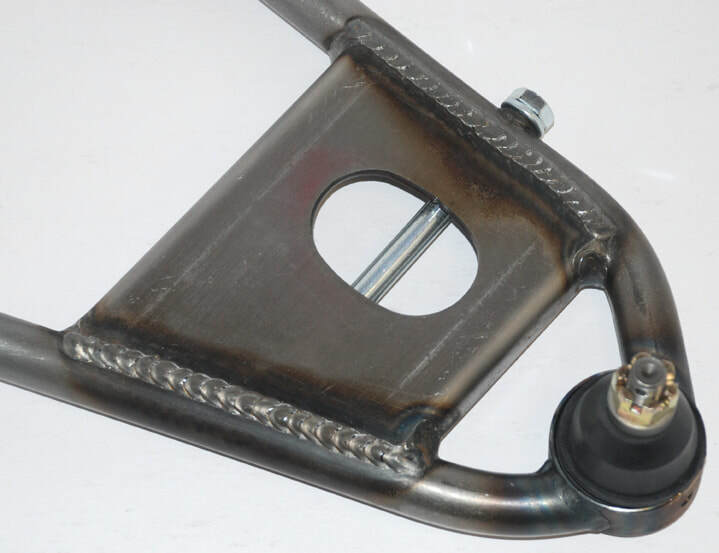 Our Coil-Spring-style Tubular Lower Control Arms for Mustang II IFS feature 3/16-wall DOM tubing and Full Tilt's exclusive spring risers. Use 'em with our - or any - Mustang II-style IFS setup. Comes with all hardware needed for the special LOOOW price of $249.95/pair + S&H in bare steel; CALL for Chrome or Black Powder Coat. 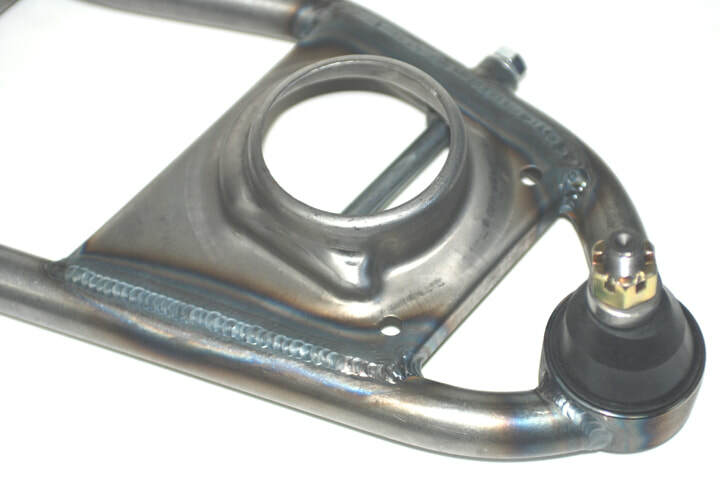 ​Check Full Tilt's complete HUB-to-HUB MUSTANG II IFS FRONT SUSPENSION kits that include upper control arms HERE.